Influencer Teams on BrandBacker are your inner circle of influencers who regularly work with you to create content, give product feedback and promote your brand. The BrandBacker Team Manager helps you setup marketing initiatives, manage content creation, streamline messaging, send samples, automate payouts and receive real-time analytics in one easy to use tool. Engage with 30,000 Influencers & Creators all at once. Find the right influencers for your team while creating hundreds of pieces of high quality content. Receive analytics on influencers you've worked with, currently work with or want to work with and invite them to join your team. Publish your brand profile to our brand directory and let influencers learn about more your brand and apply to join your team. 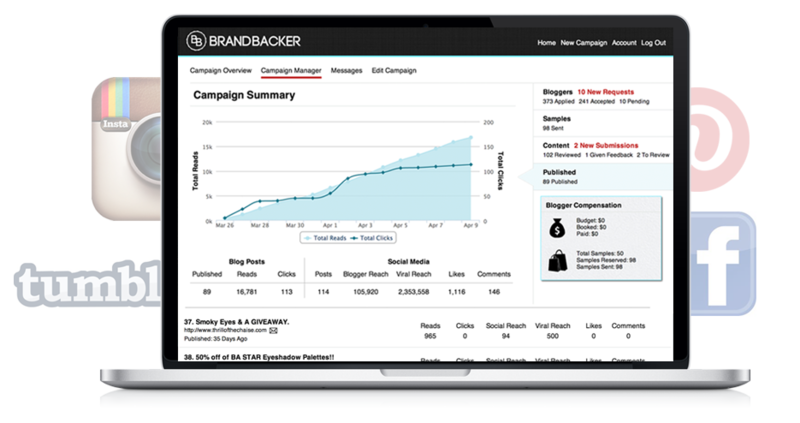 Engage your influencer team through BrandBacker Campaigns. Easily manage content creation, sample distribution, content review and messaging across campaigns, influencers and teams. Turn any opportunity into an Exposure Campaign to engage the entire BrandBacker network on special intiatives. The standard brand opportunity. Let influencers review your products and introduce your brand to their followers. Create social buzz and generate mailing lists for your products by having influencers run product giveaways for their followers. Create high quality, engaging content through vloggers and influencers on YouTube. Run network specific campaigns to drive more followers and engage audiences across Instagram, Pinterest, Twitter and Facebook. Learn more about your product, competitors, and industry through surveys & roundtable discussions with influencers from your target market. Throw an event for influencers to interact with your brand or have them cover one of your brand events. Work with over 30,000 influencers across 85 countries and 40 languages. Target influencers based on location, language, demographics, keywords and influence level. Our network includes influencers across Lifestyle, Beauty, Women's Fashion, Mommy, Food, Health, Menswear, Travel & more! Receive real-time analytics on reach, engagement and media value of influencers you work with. Track and monitor every article, image, video, comment and social media post created with metrics for reach, engagement and virality. We monitor influencers on your team and millions of others everyday so you don't have to. Our influencer scores look at metrics like reach, engagement, traffic and virality to help you decide who to work with. Receive real-time monitoring of how many impressions, clicks, comments and social posts were formed from your efforts with influencers. 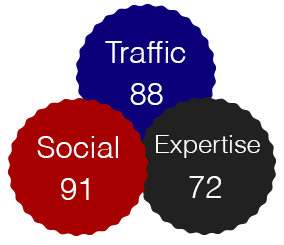 Measure how viral your content goes with analytics on likes, retweets, pins and more. Access all of the images, videos and comments being created from your campaigns in one place. Utilize media and comments from your influencers to boost your online presence and marketing materials. Request to join the BrandBacker influencer community (it's free). Thanks for your interest in BrandBacker! We will be reaching out to you shortly with more information on getting setup, subscription pricing details and what to expect from BrandBacker. In the meantime, shoot us an email at hey@brandbacker.com with any questions.